Now would you look at this beautiful couple? I love, love, love the way this one turned out. Yes, this is a picture of my darling parents. Aren't they cute? My dad is the one that helped me get started with all this digital portrait stuff a few years back. 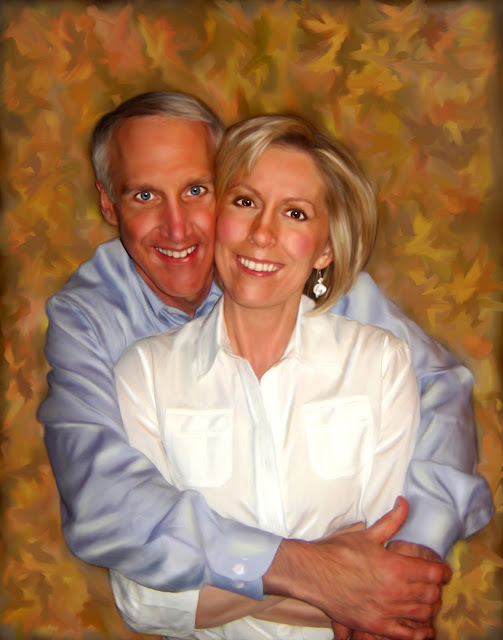 As a present to thank them, I wanted to find a great picture and paint it for them. I couldn't find a good one, so I waited till they were here in Arizona visiting all the grandkiddies. I took a whole bunch of random pictures of everyone, secretly doing it so that I could get a good shot of them. This "Before" picture was perfect! 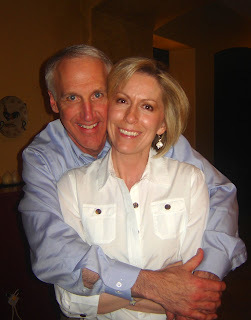 So, here are my adorable parents!